Just after she wrote about her own new year's resolutions on her website, Kim Kardashian's husband looks to have some big plans of his own for 2016. Kardashian just tweeted that a new Kanye West track will drop Thursday night — "#FACTS," she wrote. Though New Year's Eve might seem an improbable time for a new release, this time last year, Kanye released "Only One" with Paul McCartney. The collaboration debuted just prior to the drop of the ball in Times Square in 2014, after what MTV described as "hours of Internet rumors and speculation." And given Kardashian's Thursday night inside information, he seems poised for a reprisal in 2015. 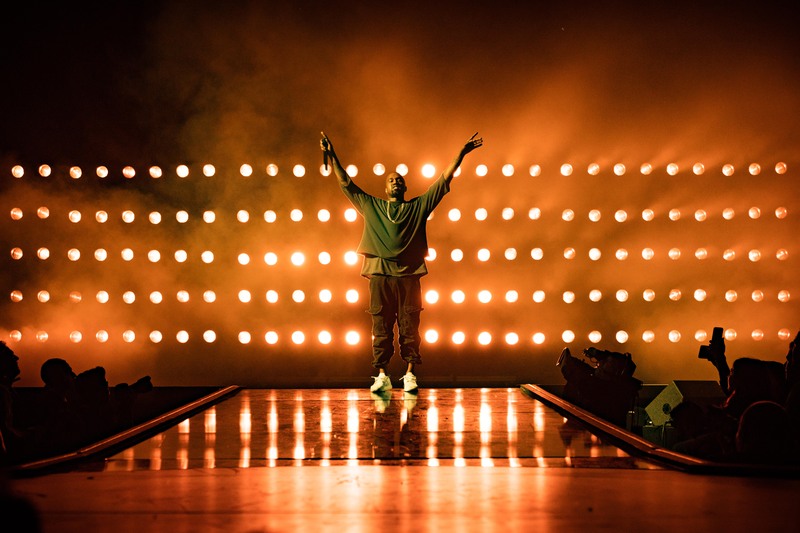 All year, West has been quietly alluding to SWISH, the follow-up to 2013's Yeezus. He premiered the first track "Fade" during the presentation for the second season of his Yeezy label — but since it has yet to receive an official release as a single, it's worth guessing that "Fade" could be Thursday night's big drop. Or perhaps that's too obvious — Kanye is nothing if not unpredictable. But he's slated for a drop of a track that could well upstage the drop of the ball itself for the second year running.